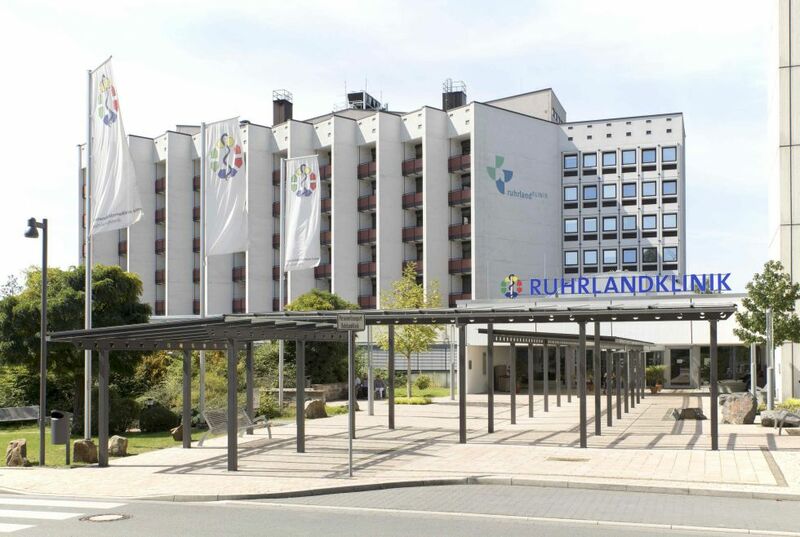 As the West German Lung Centre the Ruhrlandklinik is one of the leading hospitals for surgical and drug treatment of all respiratory organ disease. Being part of Universitätsmedizin Essen, Ruhrlandklinik’s specialists cooperate on an interdisciplinary basis with many other specialists and specialist centres at Universitätsklinikum Essen. 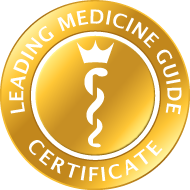 The Clinic for Pneumology provides every treatment in pulmonary medicine at the highest medical level. Under the direction of Prof. Dr Christian Taube, the hospital is specialised in pathologies such as chronic obstructive pulmonary disease, lung cancer, work-related lung disease, infections, genetic lung disease and pleural disease as well as rare lung diseases. Key foci are the treatment of COPD, pulmonary emphysema, asthma bronchiale, pulmonary hypertension and mucoviscidosis. Best medical and personal support for patients always takes centre stage for the team. The range of diagnostic facilities covers all the usual current procedures in pulmonary medicine such as lung function methods, exercise tests and right heart catheters. Besides nuclear-medical procedures, ultrasound and endoscopic procedures are employed in the quest for causes of disease. Through the Interventional Bronchology section the Clinic for Pneumology featuring the latest technology provides one of the largest bronchoscopic departments in Germany. The Clinic for Pneumology is likewise responsible for the important pre- and follow-up treatment for lung transplants. The West German Centre for Lung Transplants performs the transplants through interdisciplinary cooperation with Ruhrlandklinik’s Clinic for Thorax Surgery and Thoracic Endoscopy and Universitätsklinikum Essen’s Thoracic Organ Transplant dept.. There is particularly close cooperation between Prof. Dr Christian Taube, Director of the Clinic for Pneumology and Prof. Dr Clemens Aigner, Director of the Clinic for Thorax Surgery and Thoracic Endoscopy. The two specialists discuss all the patient cases on a daily basis. The Clinic for Pneumology also has particularly great expertise in respiratory medicine, weaning from the ventilator, home ventilation and special oxygen supply. 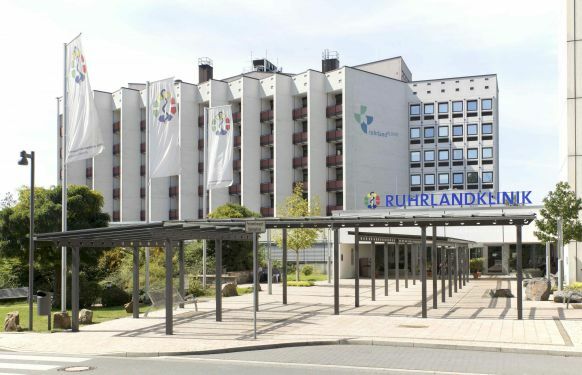 Ruhrlandklinik provides an accredited weaning centre. Long-term artificially ventilated patients and patients with an extended and complicated period of weaning from invasive artificial ventilation are treated in specialized weaning units. The Clinic for Pneumology run by Dr. Kaid Darwiche also has the largest Interventional Bronchology dept. in Germany. The modern bronchoscopic examinations also enable rapid and reliable diagnoses to be made. New therapy forms, such as implantation of small valves, can achieve good results with lung emphysemas. Besides the entire Essen Universitätsmedizin, the outpatient Lung Centre in Essen is also a key partner.